This year's fireworks were as enjoyable as those in any year in recent memory, but we got a bonus this year. 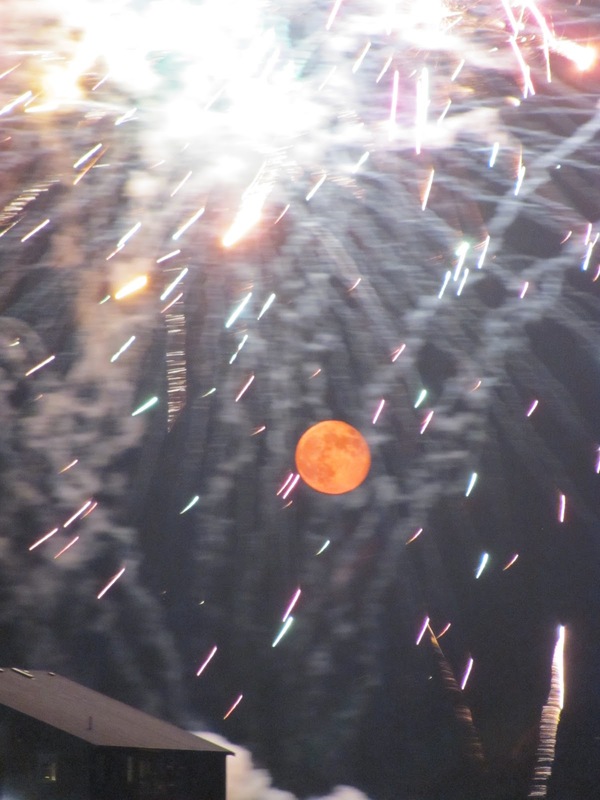 As the sky darkened and the fireworks began, a glowing, golden, amazing full moon began its slow roll up into the night sky, rising into full view within the first few minutes of the holiday fireworks display. In all the times I've sat on the beach at the edge of Provincetown Harbor on the 4th of July and watched the fireworks, I've never seen anything like this. 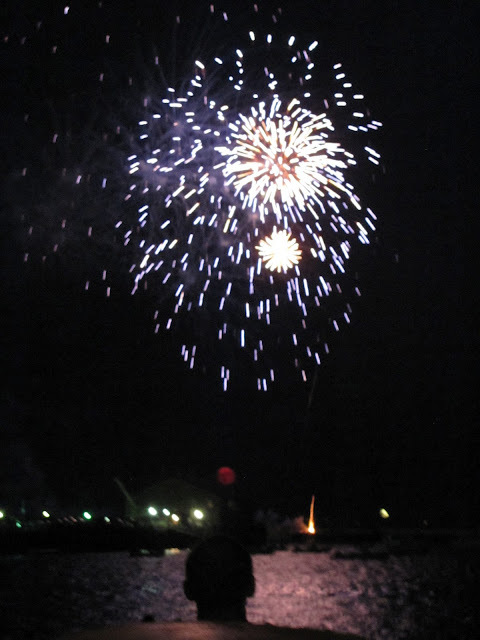 In some years past, humidity in the air, or even a rolling fog bank, has sort of hampered or even obliterated the view, but this year's fireworks exploded under a remarkable, crystal clear PTown sky. 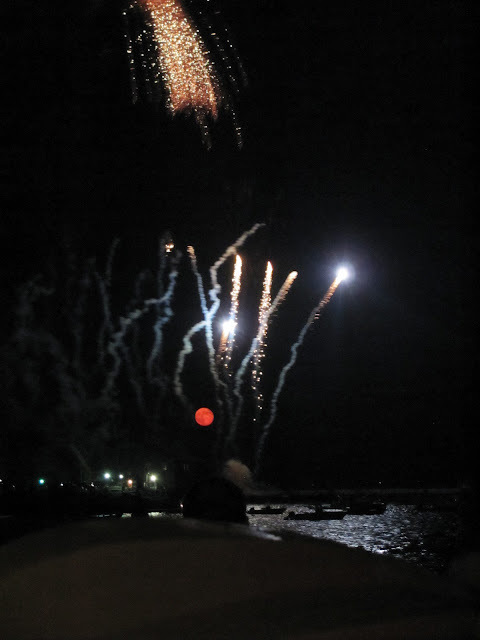 The photo above shows this glorious moon behind the bursting fireworks, lighting up the rooftop of Cabral's boathouse on the edge of Provincetown Harbor. 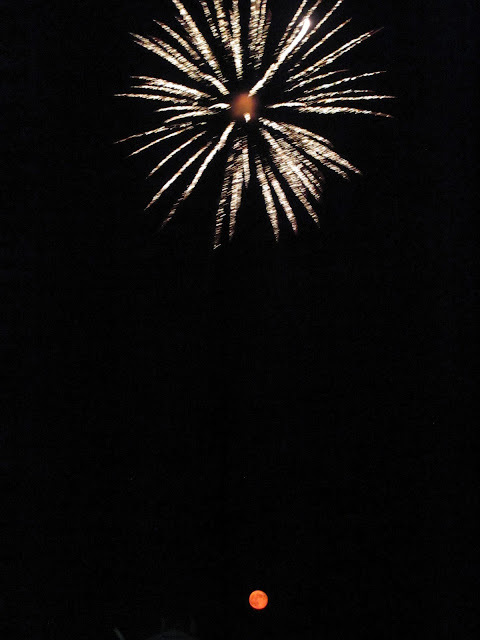 As always, if you have photos you'd like to share, let me know. Bem-vindo ao Provincetown! 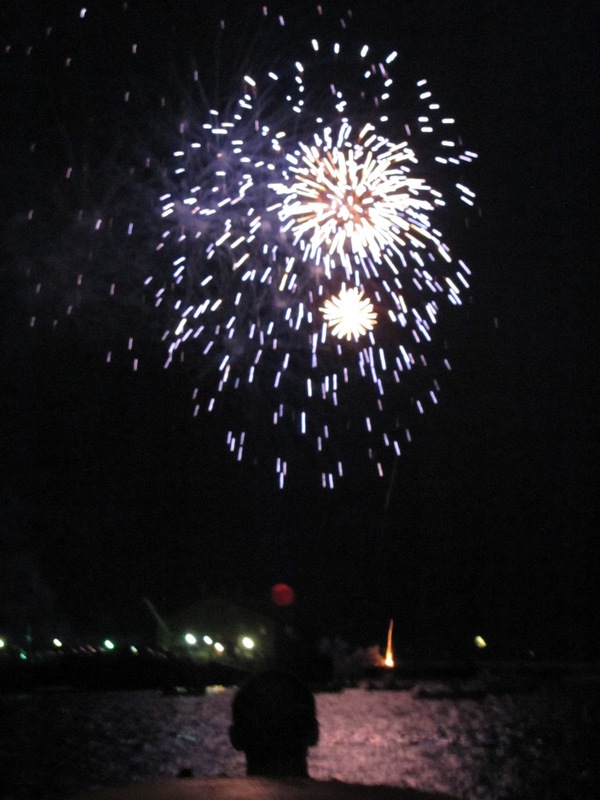 It's PTown's Annual Portuguese Festival, Thru Sunday.